A must-read for any fans of the Dream Daddy game! This was absolutely adorable, hilarious, and so heart-warming. 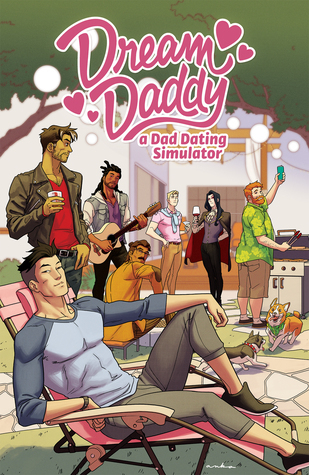 It follows the different dads of Dream Daddy - sometimes in relationships with one another, sometimes as rivals or friends - and is unapologetically diverse, queer as hell, and gorgeous, to boot. I love Dream Daddy so I was absolutely ecstatic to see this graphic novel's existence, and I'll definitely be purchasing a finished copy for my shelves when it releases! Sign into Goodreads to see if any of your friends have read Dream Daddy.